Forget cold brew. Summer 2015 is all about online green coffee trading platforms. In June came Swiss startup Algrano. In late July, we shared news of NewCrop, an upstart company offering a bidding platform for whole or split lots, and just yesterday we shared word that Cropster is developing a new online trading platform called Cropster Hub, which will be rolled out later this year and used in the 2016 Cup of Excellence auction programs. Based in San Salvador and founded by Jefferson Francisco and Guadalupe Dimas, Café Internacional has been reaching out to farmers throughout Central America since February of this year, and the company now reports that it has officially signed on 31 individual farms and four growing cooperatives from El Salvador, Guatemala and Honduras as seller partners. Francisco recently told Daily Coffee News that the seller network currently touches some 420 farmers, and the company hopes that number will grow to more than 1,000 by the end of this year. Like the other platforms mentioned above, Café Internacional’s purpose is to facilitate direct trade between specialty coffee roasters and farmers through an online platform that allows for sample-ordering, bids on lots, and logistical support through coordinated efforts with importers. In addition to these core functions, the company is also diving deeply into farmer outreach programming, coordinating with NGOs and local government agencies to help spur investment into its partnering farms. Supporting small holders requires more than a market-based approach. 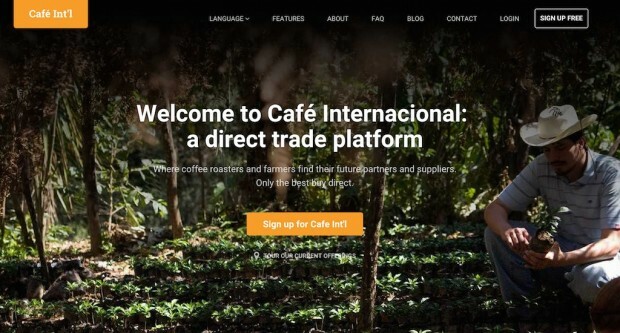 We reached out to Francisco via electronic mail to ask more about Café Internacional’s specific modus operandi, and how the startup company hopes to set itself apart in what is an increasingly interesting segment of the trading game. How did the business come about? Who is behind it and what is your experience in coffee and/or international trade? The inspiration for Café Internacional originated during my Peace Corps service in a coffee farming community in El Salvador. I lived and worked with coffee farmers who were struggling to feed their families from 2009 to 2011 in Tacuba, El Salvador. In 2014, while consulting for SalvaNATURA, the NGO responsible for Rainforest Alliance certification in El Salvador, I began developing a platform to improve traceability. Café Internacional originated as an online directory for coffee farmers, coffee buyers, NGOs, and local governments. Over time we started focusing more on connecting farmers and roasters. 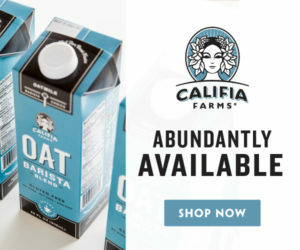 Now, it is an online marketplace where you can source, purchase and ship coffee. However, we are about to launch a new set of features designed to connect small holders with NGOs, local governments, and other organizations that want to invest in farms. Guadalupe Dimas and I launched Café Internacional to the public in February 2015. Guadalupe is our Farmer Outreach Director, and she and I are the founders. We have a small team in El Salvador that works directly with farmers and co-ops. We also work closely with the Salvadoran Coffee Council. To what regions are you currently shipping, or coordinating shipping? We are currently coordinating shipping to the U.S. and Canada. We are developing relationships with shipping lines that will be able to ship coffee to Europe, Australia and Asia. 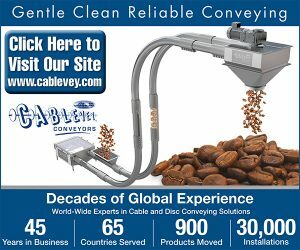 We should be able to ship anywhere in the world by the end of the year. Buyers are purchasing directly from farmers and we coordinate payments and shipping. 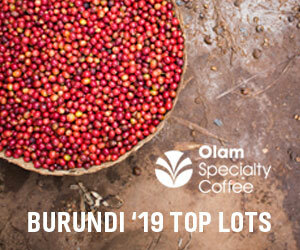 We require buyers to purchase at least 5 bags per order, because we are shipping this coffee internationally and need to be able to consolidate orders. Anything less than 5 bags can cause a lot of unused space in a container. How are you assuring quality — or claims of quality — to potential buyers? It is important to remember that we are facilitating direct trade relationships between the roaster and farmer. So, quality control is a big challenge, because once a coffee is paid for and shipped, there’s no turning back. I will explain how we manage the process and what we can do to assure buyers. We collect samples from farmers, and then we have samples analyzed by the Salvadoran Coffee Council or an institution in the country of origin that is normally responsible for oversight. We will have a sensorial analysis, physical analysis and moisture content of the lot. This information is available on the coffee’s profile. We will send samples to roasters. When a purchase is made, we send the coffee to our partnering mills in the country of origin. The coffee is removed from parchment, then prepared for export according to the contract. We can have that coffee analyzed again at that point in the process to make sure that the coffee is still the same quality that the roaster cupped previously. 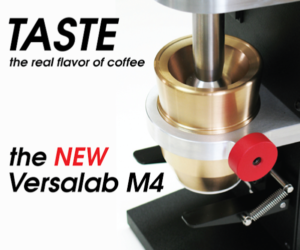 We can send a buyer a sample of the coffee if that is necessary. The coffee is shipped to the roaster and belongs to the roaster. At this point the roaster owns the coffee and cannot return a lot back to origin.